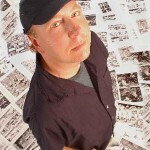 Stapling cast-off newsprint from the local small-town newspaper into little books, Joel Orff churned out a thirty-two page comic once a month for most of his childhood. After his first year of college he threw them all out; a decision that he’s still not sure if he regrets. More recently he’s been published in several books and magazines around the world, including the Artisti Allibratori Associati publication Tattoo Comix (Italy), Fahrenheit Magazine (Denmark), The Comix Compendium from Mangijin Books, The Stranger weekly newspaper in Seattle, and ‘Heroes of Invention’, which was created for the Minnesota Children’s Museum. In 2002 Joel Orff was a finalist for the McKnight Foundation Screenwriters Fellowship, and had his first play produced as part of the Minnesota Fringe Festival. In 2004 he was a finalist for the McKnight Screenwriters Fellowship. 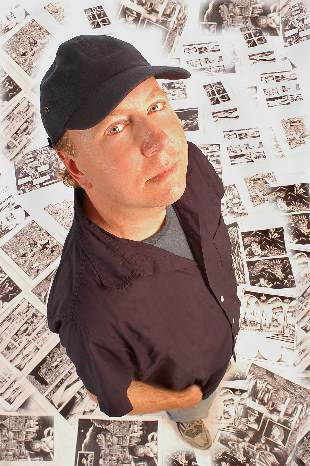 In 2005, his comic strip ‘Great Moments in Rock ‘n’ Roll’ began running weekly in the California paper Pacific Sun. In 2006 his second graphic novel Waterwise was published in a French translation by editions ça èt là in France. In 2007 editions ça èt là published a French translation of Thunderhead Underground Falls.